I’d been inside all weekend writing so at the end of the day I went for a walk. 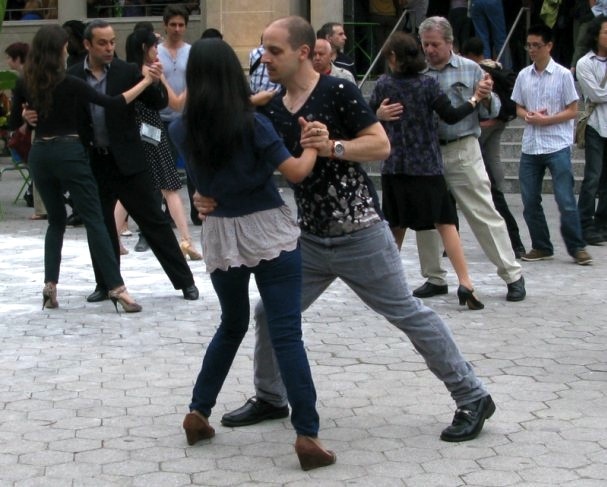 Among the various things I came across were free tango lessons in Union Square. The instructor is the guy in the back left, in the black suit. It was sweet to watch, but it only just occurred to me now that I should have put away my camera and looked for a guy to dance with. Idiot!! This is why they don’t pay me the big bucks.